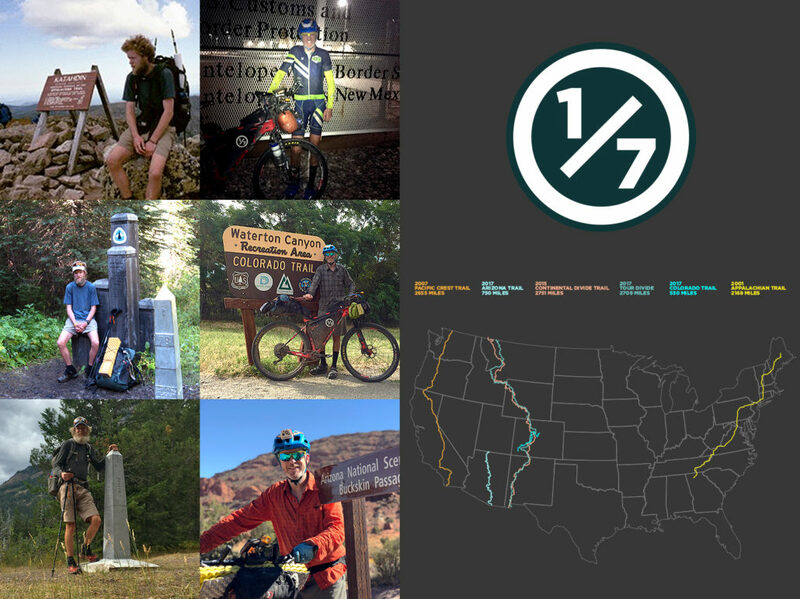 The One of Seven Project was my goal to become the FIRST person in history to complete both the thru-hiking and bikepacking Triple Crowns. 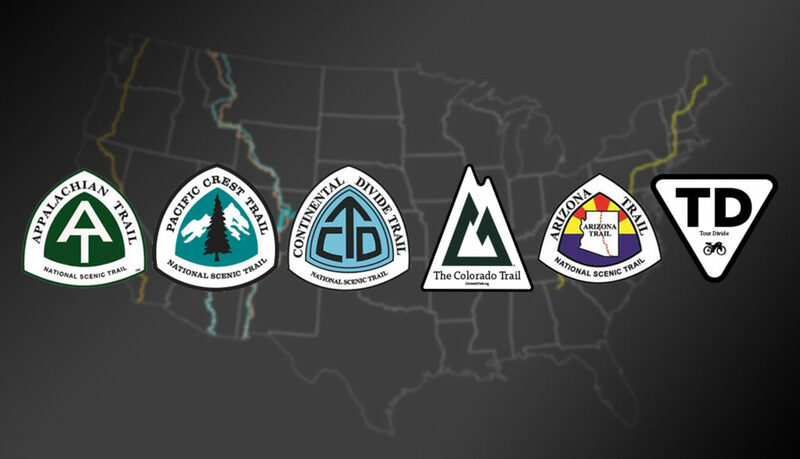 Which includes thru-hiking the Appalachian Trail, Pacific Crest Trail, and the Continental Divide Trail, as well as bikepacking the Tour Divide, Colorado Trail and Arizona Trail (over 11,600 miles for the project in total). The idea came to me while watching the movie “The Martian” staring Matt Damon. He’s stranded on Mars alone and talks about how he’s the only person in history to ever be on a planet alone. Somewhere deep inside it struck a chord. It got me to thinking of what I could do to be the only person in the world to have done something. 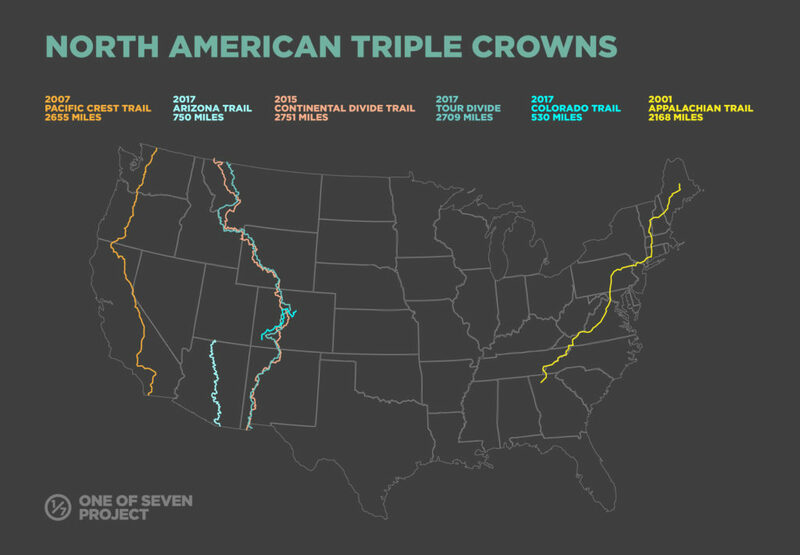 After a little digging on the internet, I found out no one had done both triple crowns. At that point the seed was planted in my head, and here we are. On October 22, 2017, I completed the Arizona Trail, which was the third of the bikepacking trails and sixth and final of the project. I became One of Seven Billion. As I rode the Tour Divide, Colorado Trail, and the Arizona Trail I learned quite a few lessons, but I also realized we’re ALL One of Seven Billion. We are all born unique, with our own DNA and finger prints. The big difference between us is some choose to celebrate that uniqueness, while ours don’t. It was then I realized the One of Seven Project had taken a turn. It was no longer a personal goal but one that everyone could strive for. This is where the Project’s Core Values came from. Throughout the project I realized that despite the immense effort and the suffering, and the sense of accomplishment I got from a large project like this, one of the most valuable parts of my travels has been the people I met and shared experiences with. I haven’t done any of my adventures without help and I feel it’s important to use my experiences to help others enjoy experience their own. Through the Project’s core values, I will encourage others to follow their passions regardless of what others say or think. I’ll do this through motivational speaking, writing, social media, sharing others passions and stories to help others find theirs and through personal interaction with those I meet during my adventures and daily life. 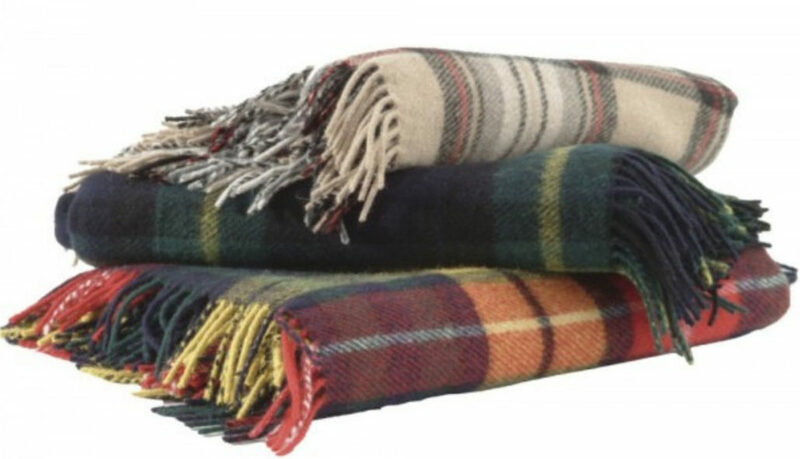 While cold and hypothermic at 12,000′ huddled in my tent during the Colorado Trail Race, I realized we’re all One of Seven Billion. This realization came from seeing my pruned fingers as I laid shivering. We are all born with our own finger prints and DNA (unless your an identical twin). It was then it hit me we’re all One of Seven Billion. I believe it’s our passions not just our finger prints of DNA that make us unique. Around the age of 31 I realized I wasn’t living my life as I wanted. I had forgotten what the Appalachian Trail had taught me and I wasn’t following my passion. As individuals we are constantly being told what to do, what to like, what we need and the result is a loss of self. As a result of this, I made my first core value to encourage others to truly know themselves and their passions. Unfortunately not everyone celebrates their uniqueness. Barriers come in all kinds of shapes and forms, keeping some from following their passions. It’s my goal to change that by assisting others in celebrate their uniqueness by following those passions that make them unique. This is why i’m sharing my stories, offering solutions, and simply reminding others what their passion(s) are. My last core value is very much tied to the third. If you don’t practice Humanizing Adventure, you’re only hurting yourself. You’re either shooting too high or too long. The only person you should compare yourself with in the person in the mirror. My goal of helping others be the best version of themselves isn’t just about self image but strength of character. No one goes through life alone. Everyone should carry themselves as they would want to be treated. By doing so you not only improve your life but those around you. I truly believe this giving back is important. A common mistake that we all do is putting others on a pedestal. We believe that because they’re doing something we simply can’t imagine is possible for us personally, that they’re better than us or inhuman. 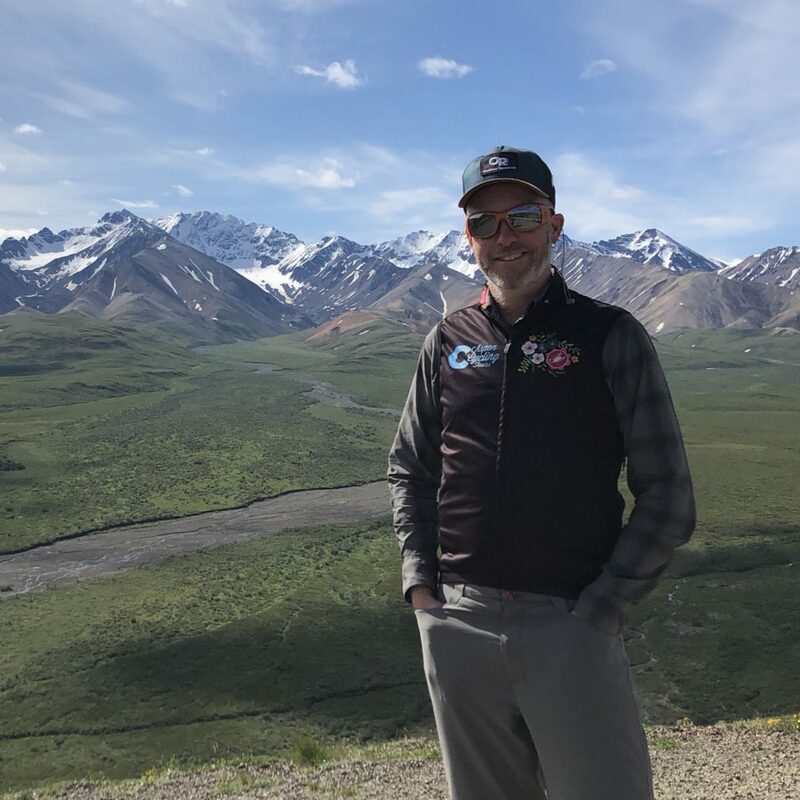 Humanizing adventure and realizing we all move at a different pace is key to breaking down barriers and fostering a better-balanced view of the world. Want to get involved or know more? Shoot me a message or follow me on the socials! Triple Crown, How did I Start? Learn where my passion for hiking and cycling all started. 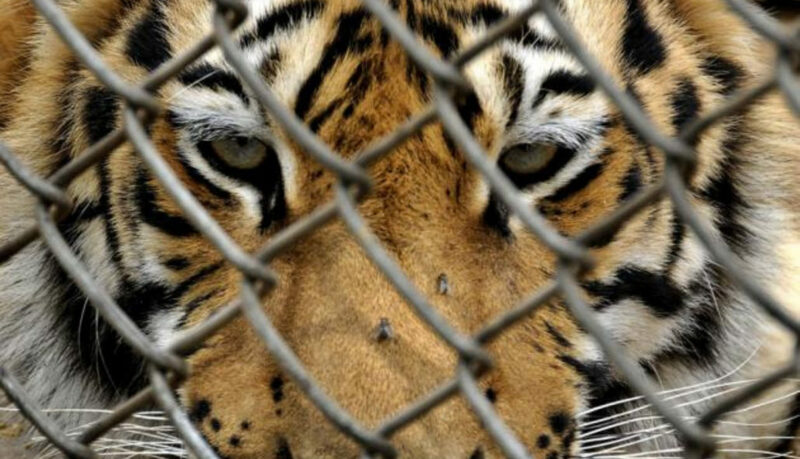 Look inside my mind and find out why I now feel like a Caged Tiger most days. I’ve learned many lessons during my adventures but this one is probably the hardest one to apply.